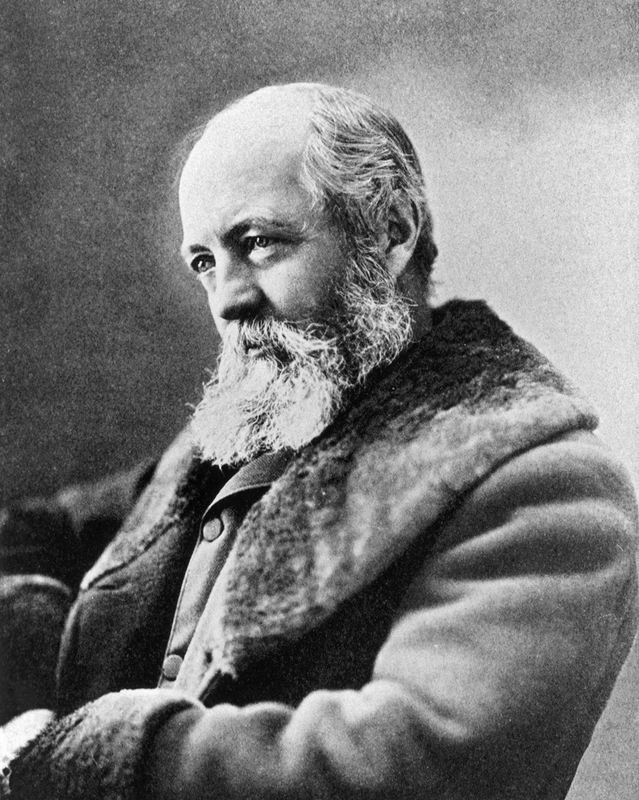 Regarded as the founder of American landscape architecture, Frederick Law Olmsted (1822–1903) is best known for designing the grounds of New York City's Central Park, the U.S. Capitol in Washington, D.C., the Biltmore Estate in North Carolina and the 1893 World’s Columbian Exposition in Chicago. Frederick Law Olmsted was born in 1822 in Hartford, Connecticut, and at age eight was sent by his father to receive his schooling from clergymen living in the surrounding countryside. After sickness prevented Olmsted from entering Yale College in 1837, he spent the next two decades traveling and working variously as a successful farmer, writer, journalist and businessman. Olmsted's career in landscape architecture began in 1857 when he and Calvert Vaux won a competition for the design of New York City's Central Park, of which he had previously been named superintendent. During the next several years he served as architect-in-chief of the park; he also briefly held positions as director of the U.S. Sanitary Commission during the Civil War and as manager of a large California gold mine. In 1873, Congress commissioned Olmsted to design the enlarged grounds of the U.S. Capitol. After careful study, in June 1874 he presented a plan for a sophisticated landscape that highlighted the building it surrounded. His symmetrical design incorporated park-like edging, low walls, lamps, careful placement of trees and simple shrubs, and a series of curved walkways that afforded attractive views of the Capitol. Olmsted later added a brick summerhouse to his design to provide visitors with a drinking fountain and a cool place to rest. The most ambitious aspect of the plan was a new marble terrace that wrapped around the north, south and west facades. Judging the current earthen terrace unacceptable, Olmsted's new design provided a strong visual foundation for the building and additional space for committee rooms and storage. Due to controversy surrounding a proposed expansion of the Library of Congress, which was at that time still located inside the West front of the Capitol, construction of the terrace was delayed for several years. Finally, in 1886 a new library building was authorized, and after the design was altered to incorporate more windows for the committee rooms, construction of the terrace was approved. An octagonal fountain in the Romanesque style was added between the grand stairs in 1889, and the terrace was completed by 1892. Olmsted retired in 1895. During his 38-year career he completed numerous projects, including residential suburbs, city squares, park systems, scenic reservations and university campuses. Following Olmsted's death in 1903, his sons, landscape architects Frederick Law Olmsted, Jr., and John Charles Olmsted, continued their father's work as the Olmsted Brothers.